made of Brass. Cotacus us directly at aqdamexp(at). 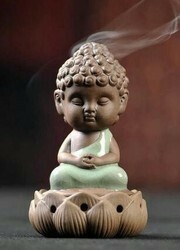 We are the leading Manufacturers of Ceramic Buddha Incense Burner. 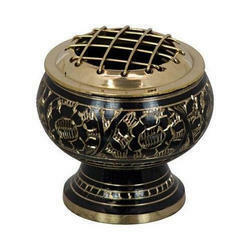 We are ranked amongst the trusted firms engaged in providing a wide range of Stylish Incense Diffuser. Due to our immense capability in this work domain, we have brought forth a huge variety of White Electric Ceramic Burner.